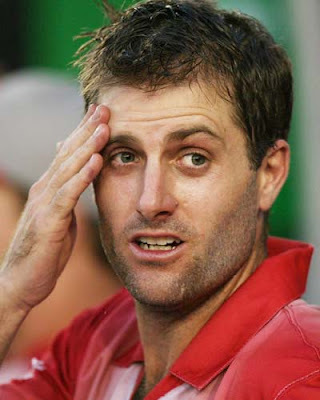 Why won't someone please feed Katich? Not only does he look hungry, but how is he expected to smack the ball about to here and there? NWG thinks extra bacon sandwiches and beer should solve the problem. On other things: have Australia made the right decision in dropping Hughes for Watson? p.s. poor Haddin's finger. Ahhhhhh. nice to see the aus selectors have to think for a change. with their backs to the wall, will we see the spirit of the game charade being jettisoned?